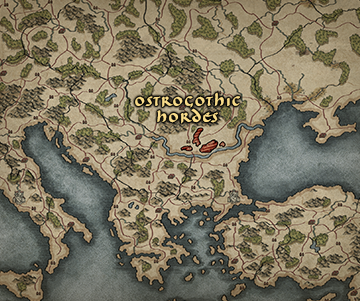 The Ostrogoths' wanderings through Roman lands belie their origins as a powerful empire. Originally known as the Greuthungi, they are a confederation of distinct peoples originally from the Baltic coast who settled close to the Black Sea. 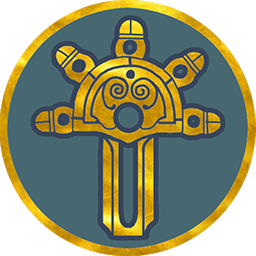 Unfortunately, this meant they were the first of the Germanic peoples to face the nomadic invaders that have shattered the world. As refugees, the Ostrogoths followed the example of their Visigothic cousins and petitioned the Romans for help. Despite Rome’s rejection of their pleas, they nevertheless snuck across the Danube under cover of night. To the north of the Black Sea, the eastern Goths - literally "glorified by the rising sun" - have built a powerful empire between the Don and Dniester Rivers.